Building a supportive network is crucial for Native American scholars, many of whom are the only scholars in their field at a college or university. While academia is replete with associations and conferences, for Native American scholars connections with other Native American scholars are fundamental to their success in the academy. Whether it is supportive conversation or research collaboration, the joining together with fellow indigenous scholars alleviates isolation and informs important decisions. Thankfully, creating community is integral to Native American tribal nations. Institutions such as the University of Oklahoma, which has an extensive department of Native American Studies, serve as gathering places and drive scholarship by creating opportunities. 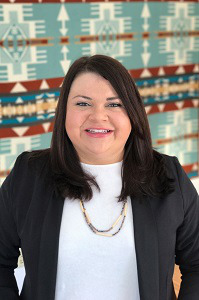 Dr. Amanda Cobb-Greetham, professor and chair of the department at Oklahoma, says that for decades tribal nations have been engaged in Native nation and capacity building, and institutions of higher education are a crucial part of that. “Once Native Americans began entering the academy, many of us have had the goal of creating indigenous spaces,” says Cobb-Greetham, a citizen of the Chickasaw Nation. Roger Kuhn, a licensed marriage and family therapist, is a faculty member in the counseling psychology program at the California Institute of Integral Studies. He is also pursuing a doctorate in human sexuality and writing the proposal for his dissertation that involves not only connecting with other Native scholars, but also coordinating his research with Native organizations. The dissertation will examine Two-Spirit love. Two-Spirit refers to people who identify as indigenous first nation and/or Native American and have a sexual orientation or gender variance. In February 2019, the 8th annual Two-Spirit Powwow will take place in San Francisco, and Kuhn hopes to distribute a survey that will be part of his dissertation research. He is fortunate to have a Two-Spirit scholar on his dissertation committee and uses social media to connect with Two-Spirit scholars. Powell’s position at the Hood Museum is made possible by a Diversifying Art Museum Leadership Initiative joint grant from the Walton Family Foundation and the Ford Foundation. The Hood received a three-year grant to hire an associate curator of Native American art, a Native American art graduate fellow and a Native American art undergraduate intern to conduct research on the collection, collaborate with campus and community stakeholders to teach about the collection and produce exhibitions in the museum’s galleries. The original idea was to have a post-doctoral fellow fill the graduate fellow position, but Powell re-envisioned it to someone with a bachelor’s or master’s degree who is interested in pursuing a doctorate and wants to be involved in relevant research. Powell sees part of her role as encouraging students and faculty at Dartmouth and elsewhere to see the Hood as a place to do research. 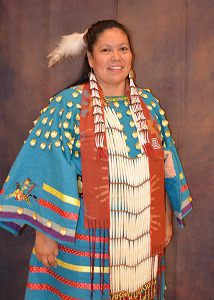 She is putting together a spring symposium that will feature a number of Native American artists. Many Native American scholars are based in American Studies departments. Speed says that NAISA members consistently speak of feeling isolated and that NAISA meetings forge networking and solidarity. One of the founding objectives of NAISA is strengthening relationships. When planning for a meeting, the call for proposals heavily encourages panels and roundtables that bring together scholars at various career stages, from different universities and in different fields. Dr. Tarissa Spoonhunter is an American Indian Studies professor at Central Wyoming College, a two-year institution. In the five years she has been at the college, she’s been able to redesign the curriculum. While she has called upon other scholars in the field, such as her professors at the University of Arizona, where she earned her master’s and doctorate, her network is mostly tribal leaders, and she utilizes their insights to build courses that are beneficial to Native populations. She works with the Native Nations Institute, a tribal leadership and management policy program, and has conversations with tribal leaders. She developed courses on natural resource management, water and gaming. With the idea that the students may not have another chance for higher education beyond this two-year college, the goal is to design coursework with information vital to their tribes. “Keeping in front of what the issues are that are important and what we could be doing to help prepare students,” says Spoonhunter, a member of the Northern Arapaho of the Wind River Reservation and who grew up on the Blackfeet Indian Reservation in Montana. Her heavy teaching load — five courses and three independent studies this semester — doesn’t allow time for her own research, but she is working with the University of Wyoming on a couple of projects. One involves the idea that research should be a reciprocal relationship between the researchers and those being studied. Researchers should share their findings and make a positive impact. “Making sure that research and writing are authentic,” Spoonhunter says. “There’s a big mistrust in many tribes. Central Wyoming College’s new president, Dr. Brad Tyndall, was determined to build a better relationship with the Wind River Indian Reservation, and he had Spoonhunter develop a tribal institute speaker series so everyone becomes better informed. He was invited to a sweat lodge and he went, which inspires Spoonhunter that there is a willingness for decision makers in higher education to help propel positive change. “We need to educate not only our people, but non-Indians too, about our resources, our treaty rights, our land,” says Spoonhunter, who is proposing upper level courses for the University of Wyoming that can be taught online or as hybrid courses. Cobb-Greetham says Native American Studies, while interdisciplinary, has a particular perspective, position and mission to be of service to tribal nations. She taught at three institutions prior to the University of Oklahoma — New Mexico State University, University of New Mexico and Oklahoma State University — and says she’s been blessed to be based in areas with significant Native American populations. In addition to teaching, research and interacting with fellow Native American and indigenous scholars, Cobb-Greetham has worked to change the relationships between universities and tribes and help create allies within academia. These allies may not be engaged in indigenous or Native American studies, but they have an interest in seeing the field flourish. Native American Studies at the University of Oklahoma is a full department with a major, a minor, a master’s degree and a doctoral program being developed. In recent years, Cobb-Greetham says university administration has made huge strides in putting together institutional infrastructure for a perpetual reciprocal relationship with the state’s tribes. The newly opened Native Nations Center focuses on indigenous research, leadership and tribal and community engagement. The university appointed its first tribal liaison, and the university’s new president, James L. Gallogly, hosted a reception for all 39 tribal leaders in Oklahoma. Cobb-Greetham hopes the campus will be a hub for Native American scholars seeking community, inspiration and research resources. Throughout the year there are lectures, exhibits, symposia, events and even Native American stickball games on the lawn.